Tile World is a reimplementation of the game "Chip's Challenge". 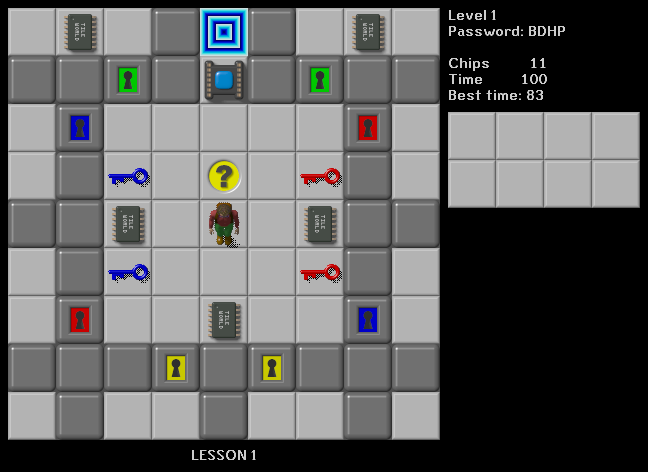 The player controls Chip, navigating him through his challenges. The object of each level of the game is to find and reach the exit tile, which takes you to the next level. The levels contain many different kinds of obstacles, creatures both hostile and indifferent, tools, protective gear -- and, of course, chips.